We have a wide variety of jewellery, ranging from classic eternity bands, studs, pendants and tennis bracelets to custom-made pieces of all kinds. Imreco takes pride in its diverse expertise and unparalled craftsmanship along with uncompromising quality, trend-setting creations and swift and efficient turnaround. Our vast collection is meticulously crafted to satisfy every taste and price point. All are rigorously quality controlled. 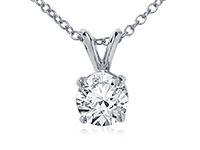 All jewellery is available in 14kt or 18kt gold and platinum. 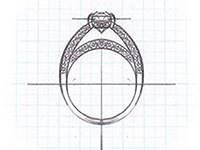 We create custom unique works of art that are one-offs for the discerning client. 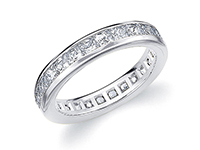 Select from our stunning collection of diamond eternity bands and classic diamond bands. 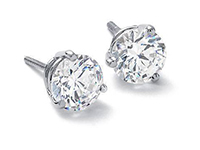 We have a wide variety of diamond, halo and other studded earrings to suit your tastes. Stylish and elegant, these timeless pieces will endure for generations. 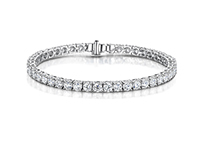 Dazzling diamond bracelets designed by artists, crafted by experts. 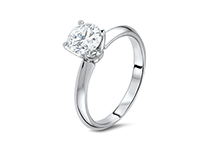 Our stylish rings will enhance the look and add style to any occasion.